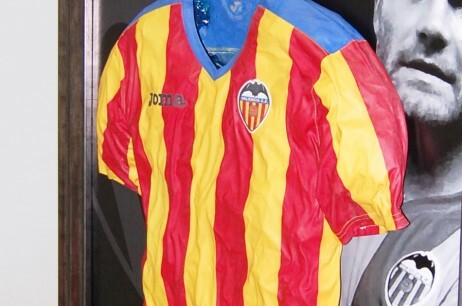 Fernando Giner, born in Alboraya, Valencia, is anex-professional football player and coach, both nationally and internationally. 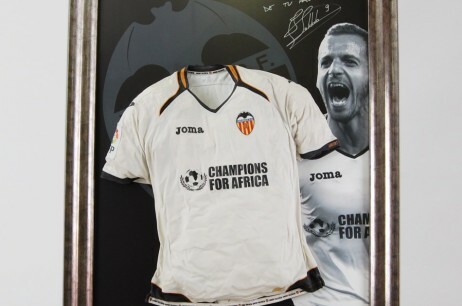 After he retired from the sport of football, he moved onto new horizons, giving life to this project with a desire to “immortalize” the clothing that was relevant to those elite athletes during the most important moments of their sporting career, giving them the same special dedication and treatment as the players. The Unrepeatable brand started in 2013 by the hands Fernando Giner. His main goal was to make clothing that would represent decisive moments from days past during their sporting careers; unique pieces that were “Unrepeatable” and to seal those moments in time, so that the fans, the stars and the general public could admire these pieces of clothing on display, that once lived through a historic moment with intensity. Up until today 18 pieces have been made whose recipients and owners belong to the world of professional sports: elite athletes, sport club and sporting federation presidents. 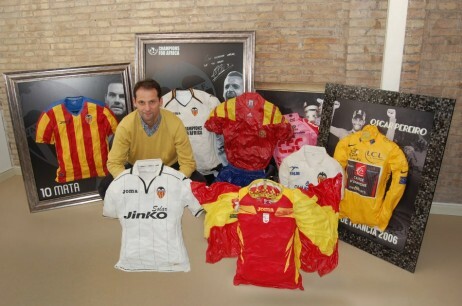 The pieces that have been created have been sport pieces that were given to Jonas (first goal with VCF), Camarasa (Copa del Rey Finals 1997) Pachi Izco (Path to the president of Osasuna), Quini (path as a sporting football player), Soldado (Champions for Africa), Royal Spanish Football Federation (World Cup South Africa 2010), Raúl (Shalke player path), Juan Mata (last game as a VCF player), Ronaldo (pending), Higuaín (Goal, President of Bate Borison, AFE Selection and Spanish Selelction (AFE), Ivan Basso (Italy tour 2010), David Albelda (last game as a player with VCF), Stefano Garzelli (Italy tour 2000) and Oscar Pereiro (French Tour 2006).